THE GOLDEN GUARDIAN IS BACK! FRESH FROM THE PAGES OF DOCTOR STRANGE...but is that really such a good thing? The greatest hero that the Marvel Universe ever forgot has returned! 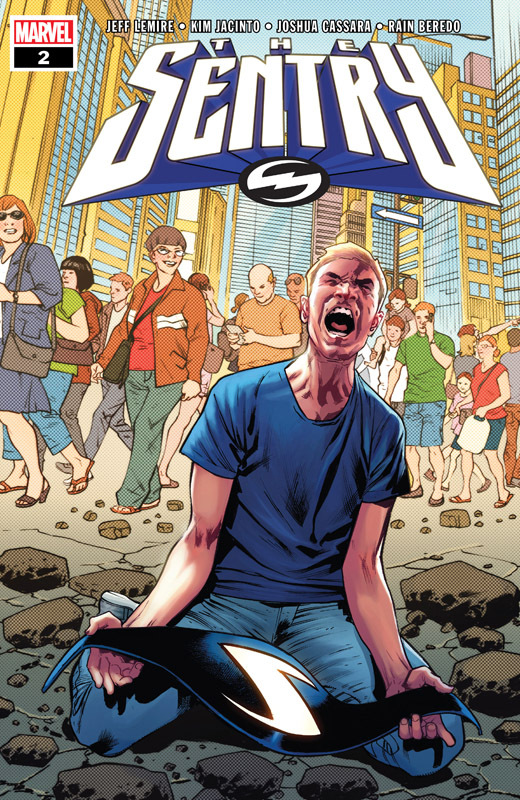 The Sentry - shining sentinel with the power of a thousand exploding suns - is back from the dead, but his troubled mind is far from finding peace. By day, he trudges through a mundane life as Bob Reynolds; at night, the Sentry soars across a gleaming, perfect skyline. 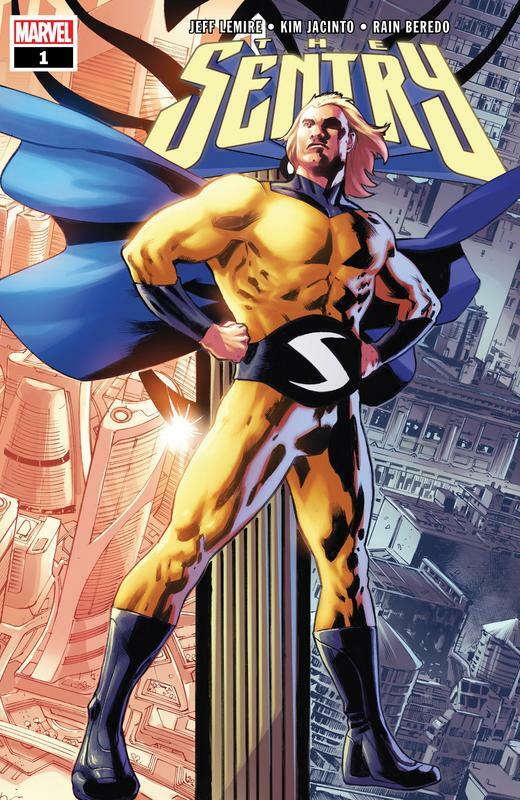 But how much of the Sentry's dual existence is real? And what of his dark other self, the Void? Jeff Lemire (MOON KNIGHT, Black Hammer) returns to Marvel and unites with Kim Jacinto (AVENGERS: NO SURRENDER) for this mind-bending series that will shake the Sentry, and the Marvel Universe, to its foundations.